If I'm happy a lot, is that a trait? Great question! First, let’s see what a "trait” is. A trait is just something that describes a person or thing. For example, tables usually have 4 legs. So we could say one of the traits of a table is having 4 legs! So if you are happy a lot, that’s absolutely a trait – it describes you! And since it describes how you feel or act, we would call it a personality trait. But we can also ask a bigger question: why are you happy a lot? Is there something inside you that tells you to be cheerful? You can’t pick your hair color, or how tall you are. Is there something inside you that says how happy you will be? Every living thing has a tiny instruction manual inside their body that makes them who they are. This is called your DNA. Your DNA has instructions for all sorts of things, including what your hair color will be, how tall you will be, and more! Since these traits are affected by your DNA, we could call them genetic traits. So is happiness a genetic trait? Actually, yes! Your DNA does have some instructions for how happy you will be. But your emotions aren’t determined just by your DNA. A lot of your mood will come from other things you do in your life. 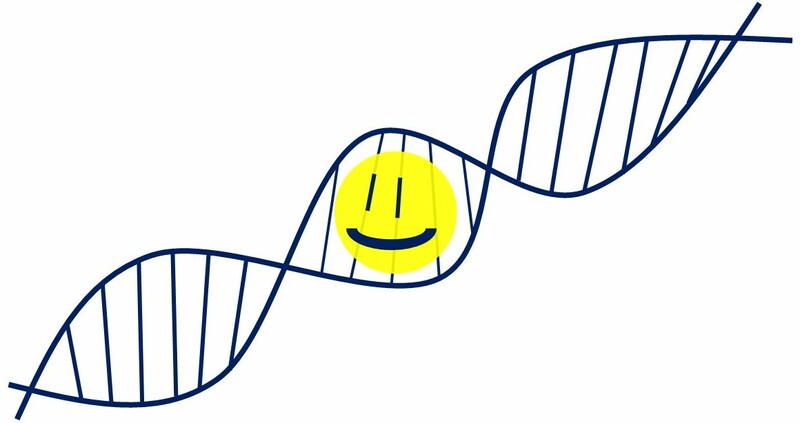 Does DNA contain information on how happy you are? It’s tricky to measure emotions. How you are feeling is personal. If you are smiling or laughing, you might be happy. But some people smile even when they are sad. And there’s lots of ways to feel happy! Sometimes you want to laugh, jump, smile, or hug people. But sometimes you’re quietly happy. Like when you are eating your favorite food, you are not actively laughing or smiling but you do feel joy in your mind. Not only that, your mood can change quickly! For example, you are probably happy when you are eating ice cream on a warm day. But if you drop your ice cream on the ground, you will be sad right away! One second, you’re happy and the next, you’re not. All of this means it’s really hard to measure happiness. Scientists can only measure the general moods people feel. Like if people are usually happy or not. It’s sometimes hard to tell if someone is happy or sad. But how can we discover if your DNA tells you to be happy? One way is to look at the DNA of people who say they are usually happy, and compare it to people who say they are usually sad. By doing this, sometimes we can find bits of DNA that are only found in happy people, or bits that are only found in sad people. By using this method, scientists have compared thousands of people. They found there are 3 places in the DNA that are associated with positive feelings (happiness, life satisfaction), and 13 places associated with negative feelings (sadness, depression). But even more interestingly, these bits of DNA don’t work alone! All of these different pieces of DNA work together to affect your mood. Scientists think that these bits of DNA aren’t just associated with one single feeling, like happiness or sadness. Instead, these pieces of DNA might be affecting all your emotions. As I mentioned, it’s hard to study this question! Your feelings are subjective, and difficult to measure. Not just that, your mood highly depends on your environment. There is definitely no simple answer to it. Would winning the lottery make your happier? 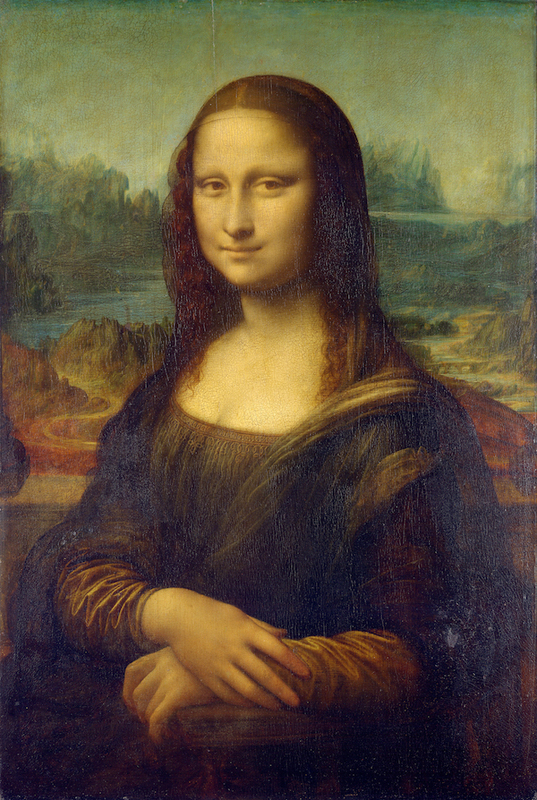 Can a country introduce laws to make its people happier? Okbay et al. “Genetic variants associated with subjective well-being, depressive symptoms, and neuroticism identified through genome-wide analyses.” Nat. Genet. While your DNA does affect your general happiness, a lot of your mood will come from other things you do in your life.